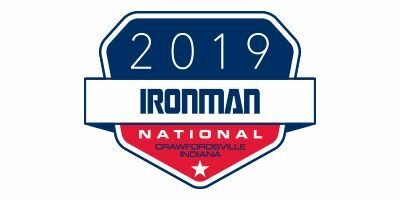 Welcome to the 6th Annual Ironman National. 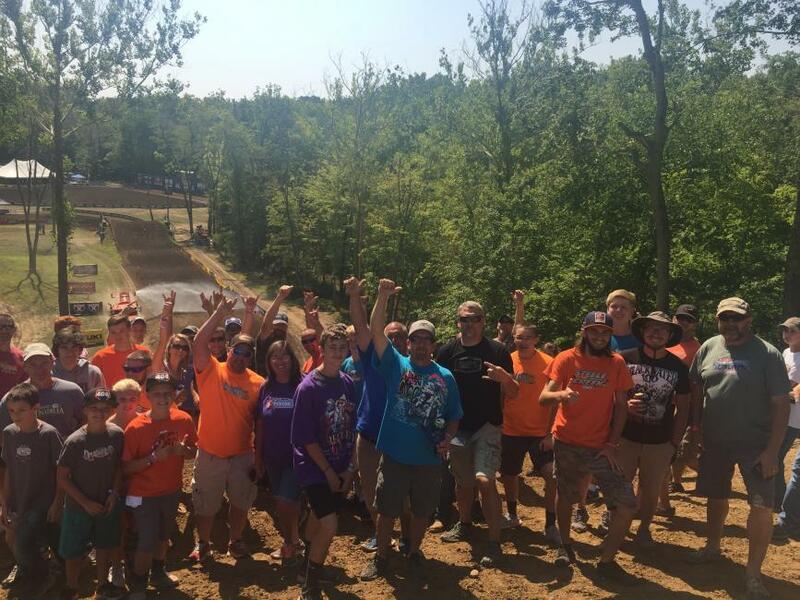 This year's Ironman National will once again mark the season finale of the 2019 Lucas Oil Pro Motocross Championship, sanctioned by AMA Pro Racing. 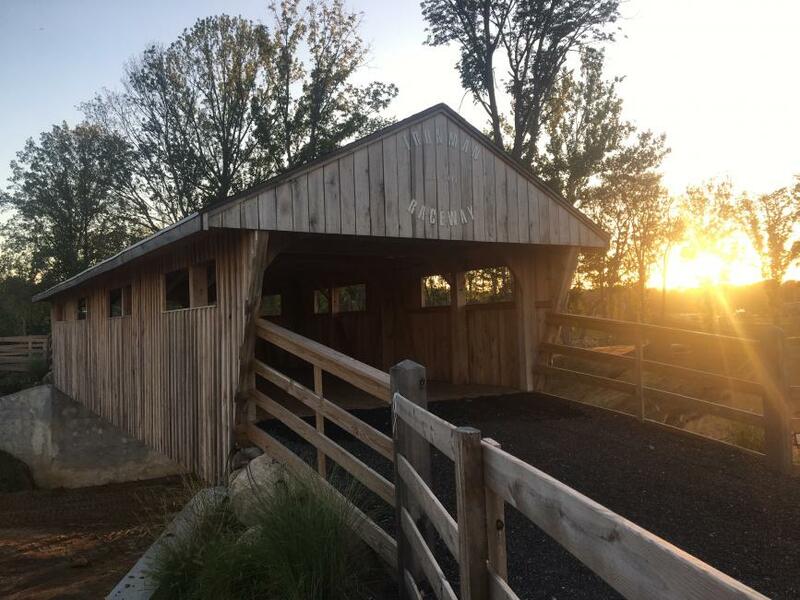 Cruising up to the Ironman National, not far from the motorsports mecca of Indianapolis, Indiana, you’ll see picturesque views of small town America. The late summer date produces porch weather, and that draws all the locals who marvel at the professional cavalcade that has rolled into their town. You get a sense that this race offers up everything you want in a big-time motocross race….well, except one thing. The land surrounding the track looks flat. Where are the hills? Where’s the elevation change? Can this possibly work? You park your crew in the huge flat field—perfect for camping and pitting, and head out to check out the big rigs in the easily accessible pro pits. Then you walk toward the track and suddenly something happens: the ground opens up, drops down, and practically swallows the race track whole. The Ironman Raceway track doesn’t just offer up elevation change, it offers up some of the biggest, steepest combinations of jumps and hills in the entire series, including Godzilla, a massive uphill jump. You’ve already sensed that the rest of the track is perfect: the dirt, the obstacles, the sightlines. Add in those hills, and you’ve got pure motocross. By the end of the day that deep soil grows hugely rough and rutted, and only those wise in old-school motocross techniques like, standing up and changing lines, and riding smarter not harder, can succeed. This track makes a fitting season finale, too. The dynamic terrain seems almost like a combination of every track in the series, all rolled into one place. 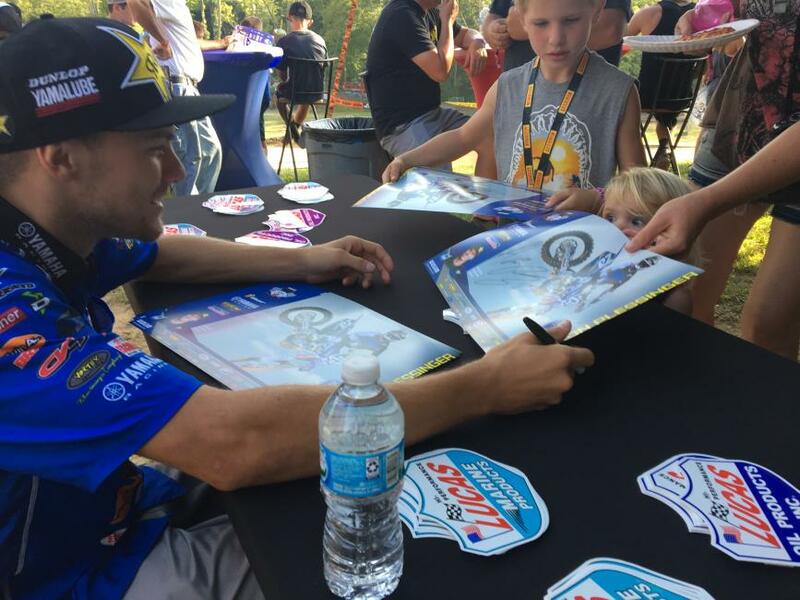 Indiana is said to be the crossroads of America, and the Ironman National track is the perfect crossroads to determine America’s motocross champions each year. No pets allowed in main fan areas or in Pro Paddock on Saturday. No pit vehicles. No pit bikes, quads, scooters golf carts, UTVs, etc. Keep your radio tuned to MXFM 89.5 FM for up-to-date announcements, racing news, interviews and information throughout the weekend. Although we have a public address system, the best way to stay tuned is to tune in. Be Social with Ironman Raceway, like the official Facebook Page! Finish Line Festival Community Day, Friday, August 23. Free Admission into Ironman Raceway (Friday Only). Enjoy the Pro Pits, a Pizza Party with the pros, face painting, free popcorn and cotton candy. Try your climb at the Indiana Zipline Tour's rock wall and human gyroscope. Friday Night “Party with the Pros” for ages 12 & under at the Lucas Oil First Class Zone @ 6:00 PM. Meet some of the top pro riders and the lovely Lucas Oil Girls for some fun, food, games and autographs, compliments of Lucas Oil. IRONMAN® is a registered trademark of World Triathlon Corporation, used by permission.